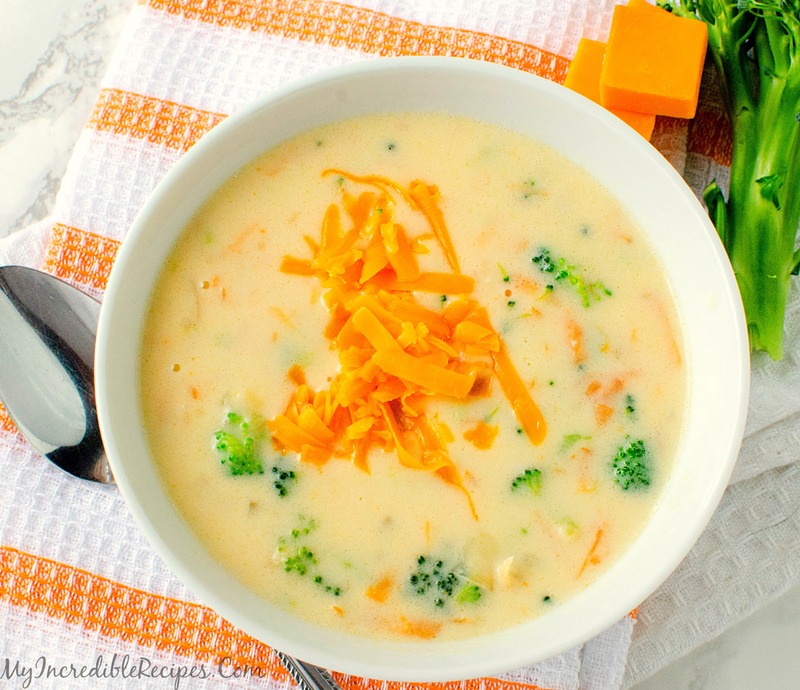 Do you love Panera’s Broccoli and Cheese soup as much as I do? If so, you will love this recipe. It is simple and sure to please any crowd! In a large pot, place the chicken broth, broccoli (minus the reserved 1/2 cup), onions, garlic, carrots and heat until boiling, mixing every minute or so for roughly 7 minutes- until broccoli is nice & tender and onions are soft. set aside. In a separate large pot, add the butter and flour – on medium heat, whisking constantly. Remove from heat and pour in your broth/broccoli mixture and slowly, mix well. slowly add in your heavy cream then put on low temp, uncovered and allow to simmer. Simmer about 7 minutes on low-med, mixing occasionally. Thank you to My Incredible Recipes for this delicious soup! Click Here to print and enjoy!